Those who are willing to go the extra mile and get off the main tourist track are well rewarded here in Costa Rica. Dominical Costa Rica Hotels tend to be the best all through out Costa Rica. Also some of the country’s best beaches and most pristine wilderness areas are found in the Southern Pacific Zone. People flock from around the world to experience the Surfing in Costa Rica and many find the perfect wave at beaches of Dominical. The pristine beaches at Ballena are famous for their unique shape, forming a perfect whale’s tale – hence the origin of the name “Ballena”. Just because you are in the rainforest doesn’t mean you’ll have to compromise on accommodations! Dominical is the place to be when it comes to the best attractions. The foods alone that you find here are absolutely amazing. Such a variety from the Local cuisine of Gallo pinto to far flung foreign dishes. When visiting make sure to take part in the wide variety of tours and activities hotels normally offer. Including, Birding, Sea Charters, Diving, Snorkeling, and of course zip lining etc, etc. The animals you find here are beautiful. Often seen in the trees or right out you hotel window. Also we cant forget our friends in the ocean. The colossal whale, or even the nurturing Sea-turtle. It is a site to see when sea turtles come to lay there eggs. Whatever the case its worth while coming to Dominical. 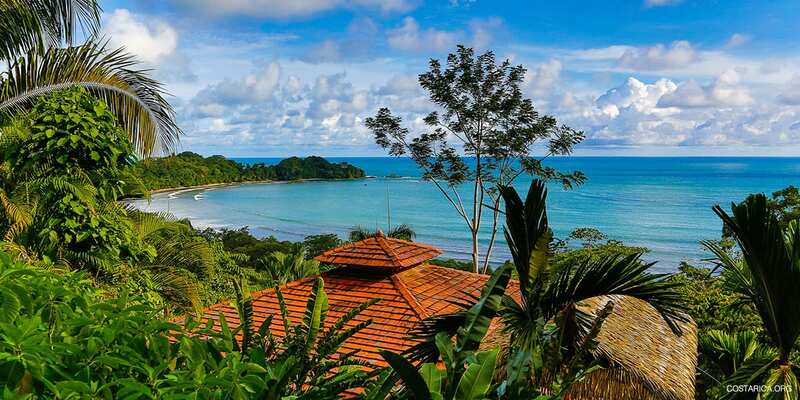 We’ve compiled a list of some of the best Hotels in Dominical Costa Rica, Ballena and beyond! Experience luxury in a beautiful natural setting at one of these fine Dominical Costa Rica Hotels.